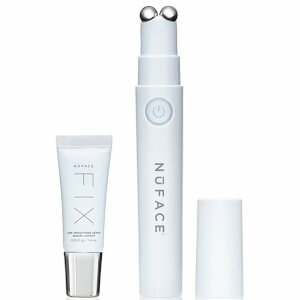 NuFACE FIX Device and Serum. Fast. Focused. Flawless. 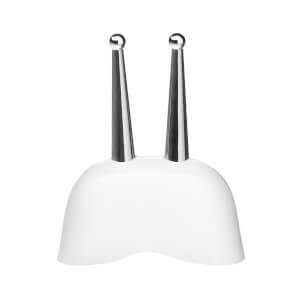 Instantly target the look of fine lines and wrinkles with the FIX Device. 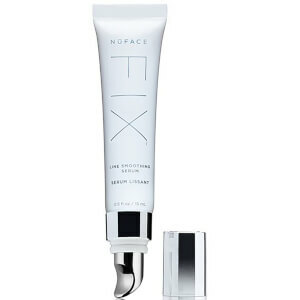 Follow with FIX Serum, the addictive energizing serum that awakens tired eyes, revives dull looking skin, and restores radiance – even over makeup. This award-winning, multi-solution device is FDA-cleared and clinically-tested for improved facial contour, skin tone, and wrinkle reduction. Using micro-current technology, this non-invasive facial lift will give you a more radiant, younger looking appearance. The NuFACE Skin Care collection has been specially formulated with breakthrough ingredients that work in sync with the micro-current technology. Working in conjunction with the device or on their own, they help to help nourish, smooth and hydrate for healthy, radiant and glowing skin. The NuFACE Skincare Products and devices have been specially formulated with breakthrough ingredients that work with microcurrent technology to help nourish, smooth and hydrate for healthy, radiant and glowing skin. Our Skincare products and devices can be used in conjunction with your daily skincare regimen. Now that you know more about NuFACE, lets talk about our clients most popular NuFACE products. Some of our most popular skin care products include: NuFACE Trinity infinite collection, NuFACE Mini travel essentials, and NuFACE keeping glowing hyrdrating renewal kit. Some of our most popular NuFACE product devices include: NuFACE trinity mini facial toning device, Trinity facial toning device, and the NuFACE Trinity Facial Trainer and Ele Attachment set. These are award winning products that are non invasive and can be used in your daily regimen. Professional quality results in the comfort of your home. The needs of the complexion change with age and many people find that their anti-aging regimens simply are no longer enough to keep lines and wrinkles to a minimum as they grow older. Traditionally, people in this position have had to choose between living with signs of ageing or undergoing surgeries that, while effective, provide only short-lived results and pose risks for complications. 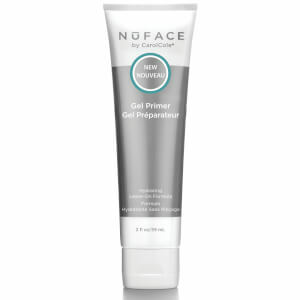 NuFACE offers a third solution: a powerful, FDA-approved at-home treatment that is clinically shown to effectively reduce the prominence of signs of ageing.The development of signs of ageing is a complex process that involves both internal and external factors. As the body ages, collagen production slows, leaving the skin more susceptible to developing lines and wrinkles simply due to the natural pull on the tissue that occurs when frowning, smiling or furrowing one's brow. In addition, ultraviolet energy and free radicals found in the environment around us act on the skin cells, damaging their vital structures. The result is a weakening of the skin that causes wrinkles and lines to emerge prematurely. With each use taking just 5 minutes per day, NuFACE technology makes advanced skin therapy easy to fit into your daily routine. Each use provides the skin tissue with mild electrical stimulation that has the power to rejuvenate the cells and encourage collagen production. 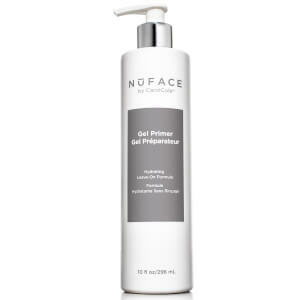 With regular use, NuFACE products have the potential to greatly reduce the prominence of wrinkles while continuing to fight the aging process to minimize the appearance of wrinkles. Younger-looking skin isn't far out of reach. Pick up NuFACE Products, which feature the only FDA-approved microcurrent hand-held device on the market. 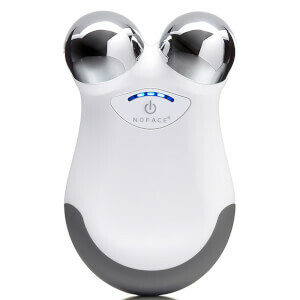 NuFACE Products tone your facial muscles, delivering gentle microcurrent impulses to reduce lines and wrinkles. 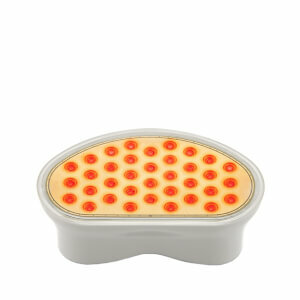 The result is better textured skin, which gives you a more youthful appearance. Creams and lotions might promise to reduce those crow's feet, fine lines, and wrinkles. 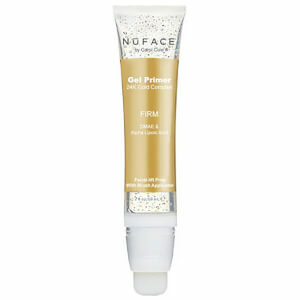 However, NuFACE products directly treat those signs of aging, making the skin firmer and smoother. Don't be intimated by these products. NuFACE offers easy-to-use hand-held devices with a simple on/off switch. You can customize the settings, NuFACE products have a frequency range of 0 to 500 MicroAmps, allowing you to find the right frequency for you. The compact products are easy to store and move, so you can tone your skin no matter where you are. Finally, NuFACE Products require minimal maintenance and come with a warranty to ensure your satisfaction.